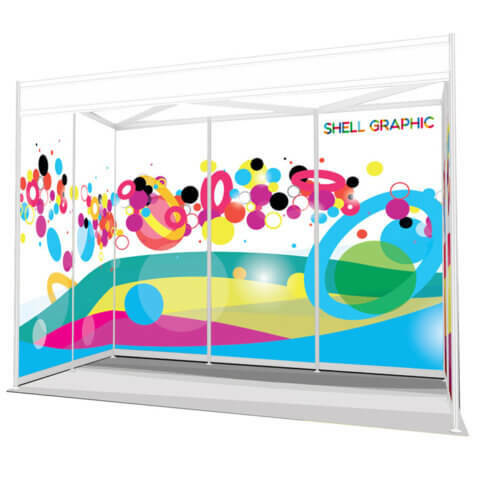 ShellGraphic exhibition panels are ideal for shell scheme booths. 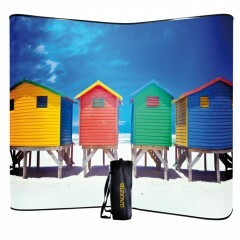 They are printed on special grey-back 3-ply material that does not curl at the edges. 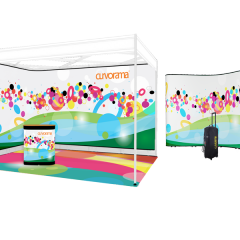 ShellGraphic gives you made-to-measure floor-to-ceiling graphics on a budget. 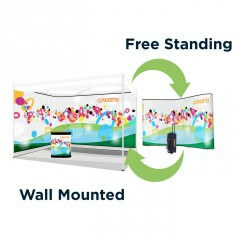 Line your exhibition booth and re-use these panels as many times as you like. Apply ShellGraphic with hook and loop coins (supplied). 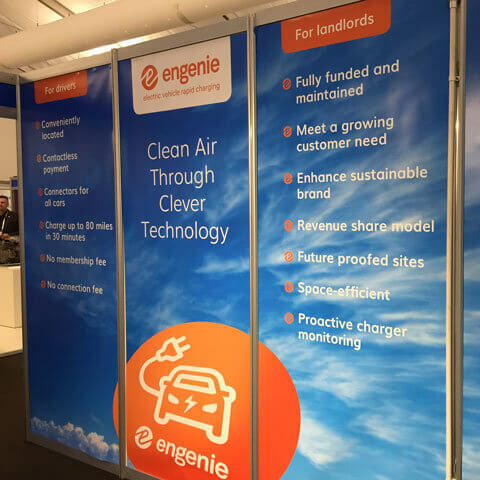 The panels won’t rip or wrinkle and have good scratch and scuff resistance. Please note that your shell scheme’s aluminium framework remains visible. 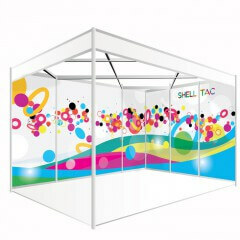 ShellGraphic exhibition panels look like printed rigid panels, but are much less expensive, and far easier to transport. 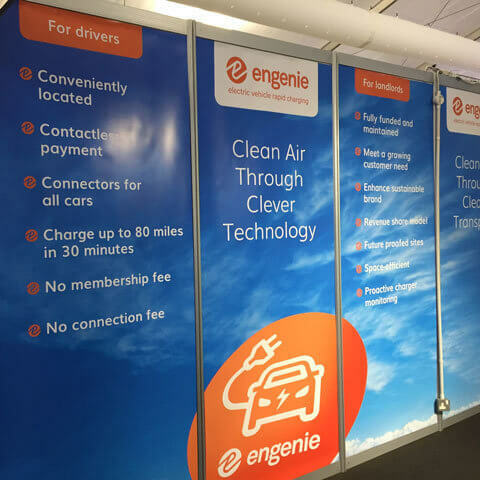 To get 2.4m x 1m rigid boards to the exhibition venue you would need a van. 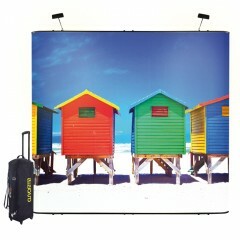 But you could take ShellGraphic panels on the bus, tube or train. ShellGraphic comes pre-cut to the exact size of your shell scheme panels. 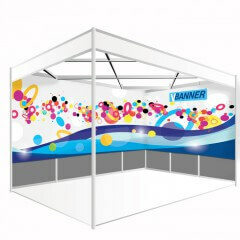 You will be able to check what size you need in your exhibitor manual. After the show just remove and re-roll. £652.00 need help? contact us! £150.00 need help? contact us!